Sassuolo vs Sampdoria predictions ahead of this Serie A clash on Saturday. Read on for our match preview and free betting tips. After a weekend loss to Atalanta, will Sampdoria be able to get their European campaign back on track this weekend? They come into this game with a mountain to climb in their push for a Europa League spot, and now they make a trip to a ground where Napoli struggled at the weekend. Sassuolo will be out to secure another result in front of their home support while building on a strong record over Sampdoria. Sassuolo held Napoli to a 1-1 draw at the weekend, after leading up until the 85th minute. However, the Neroverdi are still on a poor run despite that result. Lorenzo Insigne’s penalty prevented Sassuolo from claiming their first win in six matches. They’ve only won once in 2019, while they’ve picked up only one victory in their last 12 matches. Can they end that poor spell against an out of form Sampdoria? The visitors lost 2-1 at home to Atalanta, their fourth defeat in six matches. They come into this clash five points off the top six, so all is not lost for their season ahead of this one. However, there will be just 10 games remaining after Saturday’s encounter at the MAPEI. If Samp are going to live up to their potential, they need to start showing more on the field. Can they turn things around and end a four-game winless streak against Sassuolo? The problem for the visitors is at the back. They’ve conceded in 79% of their away trips, including their last 10 games on the road. They come into this one with huge issues at the back, with only one clean sheet in six in Serie A. They are unlikely to get things back on track this weekend. Samp have looked far too open at the back, ahead of a meeting with a high scoring Sassuolo side. The hosts have scored in 86% of their home games, and they should expect to add to that tally here. Sampdoria have major issues on the road, conceding almost five goals more than their expected goals tally suggests they should have. 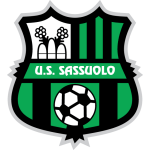 They’re conceding too many, letting in a goal in 25 of their last 30 away games in Serie A. Sassuolo have hit 1.7 goals per game at home, scoring in six of their last seven here. With that in mind, we’re backing both teams to score here, which has landed in nine of Sampdoria’s last 10 away games. Sassuolo have kept a clean sheet in their last three encounters vs Sampdoria in Serie A, they have never managed four shutouts in a row against a single opponent in the competition. Sassuolo are unbeaten in their last four home games in Serie A vs Sampdoria (W2 D2), after they had lost the first meeting. Sassuolo have won just one match in Serie A since the 22nd December (D5 L5): the joint-lowest tally in this period in the competition. Sampdoria won their last away match in Serie A (vs SPAL), the last time they managed two away wins in a row was back in April 2017. Sampdoria (seven) and Sassuolo (five) are two of the three sides with the most penalties goals scored in Serie A this season (Juventus, six). Sampdoria have posted the highest shot conversion rate (13.5%) and also the highest percentage of shots on target (49.2%) in Serie A in 2018/19. Sassuolo’s last seven goals in Serie A have been scored by seven different goalscorers. Domenico Berardi scored in his last appearance at the Mapei Stadium vs Napoli in Serie A, the last time he scored in back to back home games in the competition was in April 2017. Fabio Quagliarella has scored 45% of Sampdoria’s goals in Serie A this season (20 of 44), only Girona’s Cristhian Stuani (55%) has scored a higher share of his team’s goals among the top-5 European Leagues.